Two products from the Prewett’s biscuit range have been shortlisted at the prestigious Grocer New Product Awards 2016 in recognition of their great taste and quality. Prewett’s Chocoful and Prewett’s Gorgeously Gluten Free Spicy Ginger & Chocolate Cookies are finalists in the ‘Free From Biscuits’ category at the awards, which celebrate and reward outstanding innovation in the UK Fast moving consumer goods sector. Chocoful is gluten free and individually wrapped chocolate coated biscuit bar whilst Gorgeously Gluten Free Spicy Ginger & Chocolate Cookies feature indulgent ingredients such as Belgian chocolate and stem ginger. 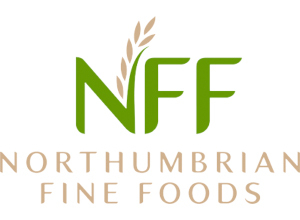 Prewett’s biscuits are manufactured by Gateshead based Northumbrian Fine Foods (NFF). David Wood, NFF Business Director, says: “Since we launched our new Prewett’s gluten free range at the start of the year, we have been delighted at the positive response from consumers. We are thrilled that the quality of these biscuits has also been recognised by The Grocer New Product Awards. The Grocer New Product Awards 2016 will be held on Friday 7th October at the Marriott Grosvenor Square, London.